An enormous golden nugget was found in Irkutsk region last week. 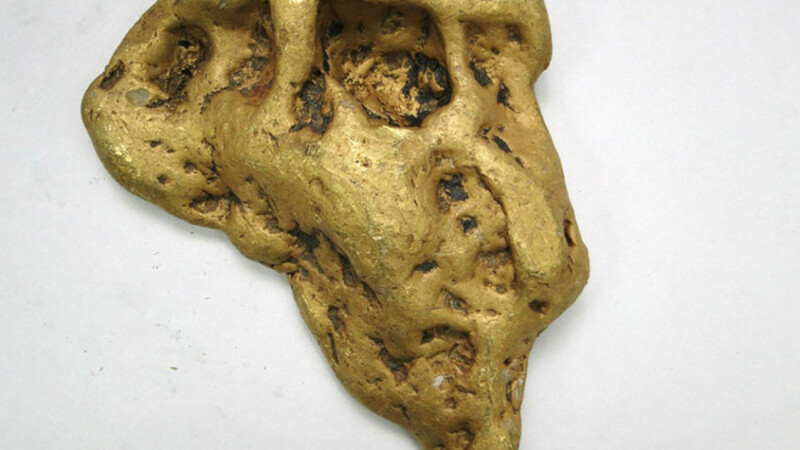 Miners in Russia's Irkutsk region were severely spooked after they unearthed a nugget of gold bearing an uncanny resemblance to a "devil's ear" on Friday 13. The mysterious nugget, discovered on the day of a full moon, was almost discarded after gold diggers mistook it for a regular rock, the Bodaibo municipal administration said Tuesday in an online statement. When diggers from the gold-mining company Ugakhan weighed the nugget, however, they realized it was the largest one to have ever been discovered in the region, coming in at 6664 grams. "There are three sixes, and the shape is very similar to a little pointy ear. Therefore the miners immediately named the discovery the 'Devil's Ear'" the municipal administration said in their online statement. The miners are now hoping the old adage that gold nuggets never reside alone rings true. "If there is one, then, there will be a second, and it is possible that quite soon the "Devil's Ear" will have a brother," the administration quoted the miners as saying. It is not unusual for miners to give pet names to gold nuggets: the largest ever found in Russia — weighing 36 kg and discovered in 1842 in the Urals — was named "Big Triangle" because of its unusual shape. The world's largest gold nugget was unearthed in Australia in 1872, and weighed a whopping 93 kilograms.